Select Religious Broadcasting Service, founded by Dr. William R. Crews, is one of the nations oldest and largest religious marketing services. With over 30 years of experience, our current staff has access to every form of media exposure. Select Religious Broadcasting Service will partner with your ministry in delivering God’s timeless and life-changing message to the world. With over 50 years of experience, the dedicated professionals at Select have the broadcast knowledge and marketing skills necessary to help your ministry succeed in today’s high-tech society. Select is able to offer your ministry an array of services, we are truly “Full Service”. Select Religious Broadcasting was one of the first agencies in the country to specialize in religious programming. We are one of the largest and most respected religious agencies in the country. We bring more than 50 years of experience to the table. We have ministries that are on one station, a ministry on over 200 stations, and everything in between. We can take your ministry to the next level while working within your budget. So whether you are just getting started in television or radio or want to expand your current broadcast ministry, we will work with you every step of the way. 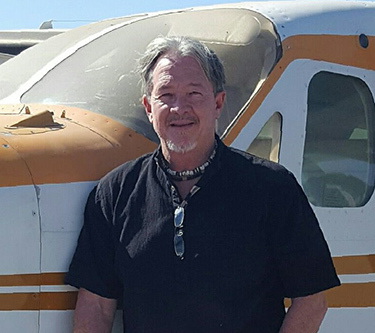 Bill came on board with SRBS in 2009 after being in aviation sales for many years. Bill is the son of founder Dr. William R. Crews and is enjoying carrying on what his father started, working with ministries to get their message out to the masses.